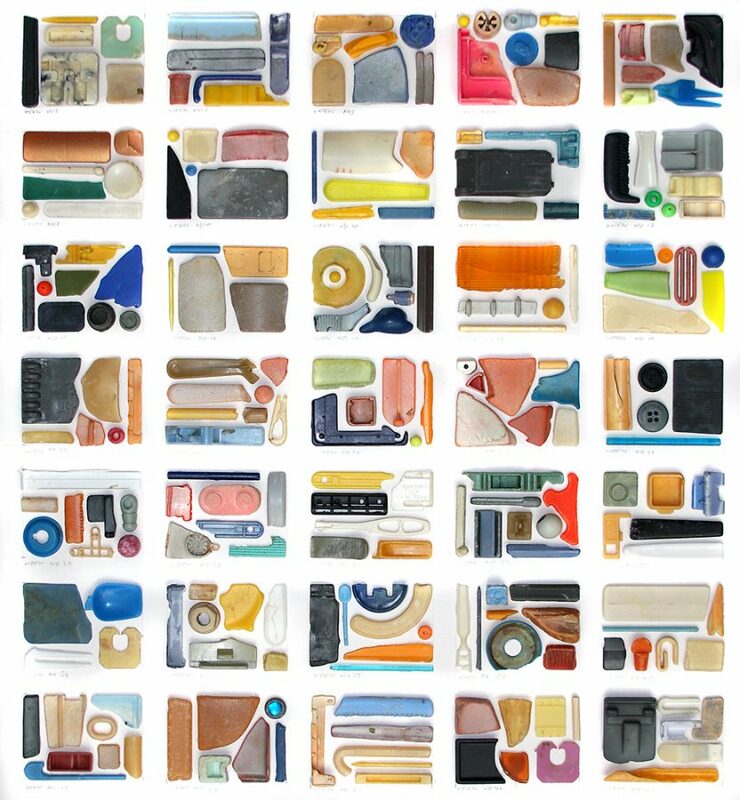 Year Sampler (Grid) 2009-2010. 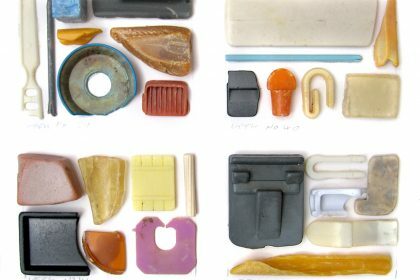 Found Marine plastic and text, on Card. 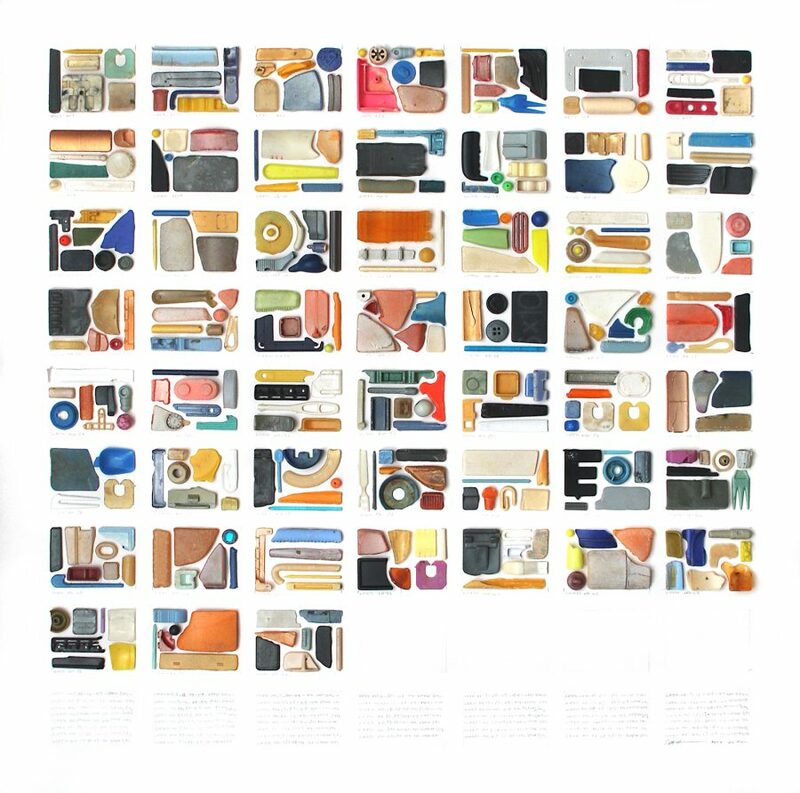 Dimensions Approx 62x62x4cm. 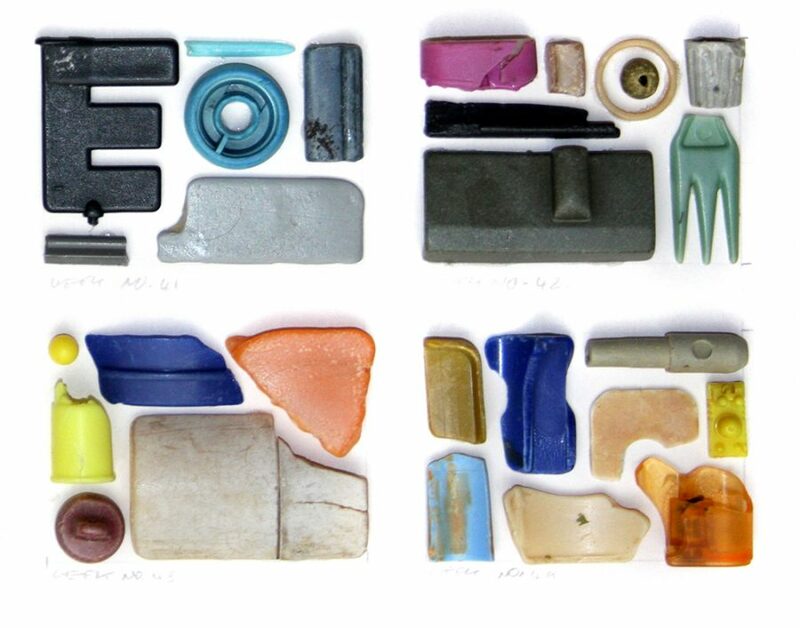 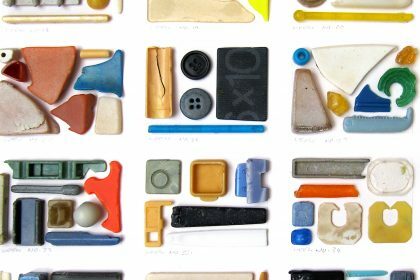 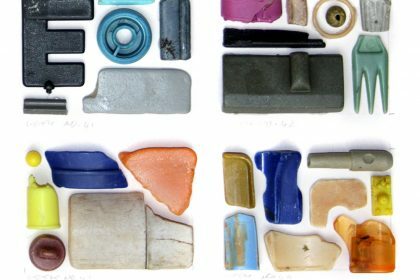 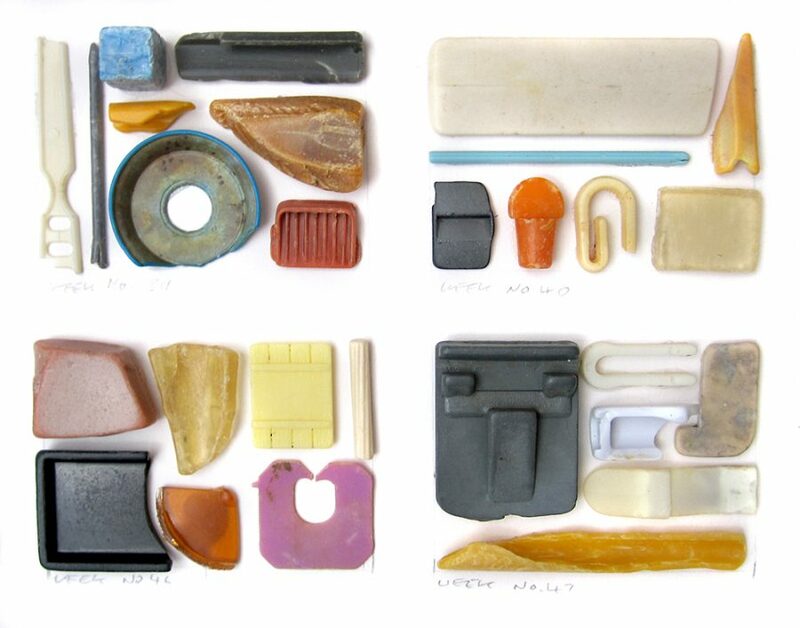 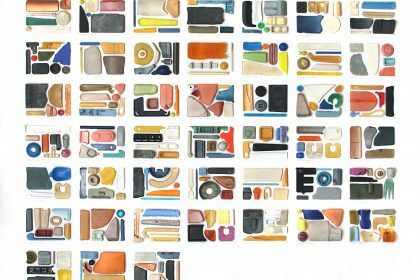 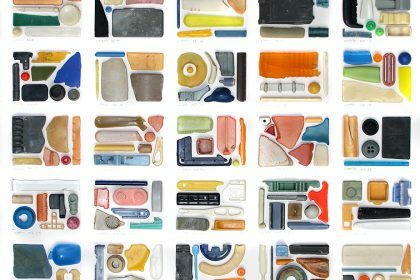 This work documents a small sample from each weeks find of plastic objects from various beaches around the UK. 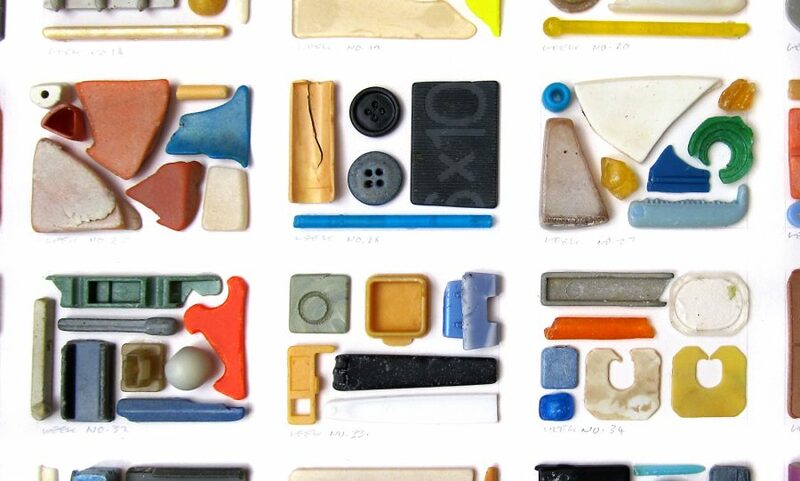 Duration: April 2009 to April 2010.